Well, I guess that this phrase is partly true, though. I want to follow in the footsteps of these original leaders but I will try to vary from them upon seeing a roadblock or pitfall that they got stuck on. Hopefully, I’ll have their teaching to show me where these are so I can avoid them completely and be more productive. Besides, I’ve got my own glitches to watch out for and my own ego/personality that has developed that needs tending. I’ll stumble enough with my own problems and avoiding theirs would be great. Some may even be the same. There are also places where I don’t want to follow the footsteps. 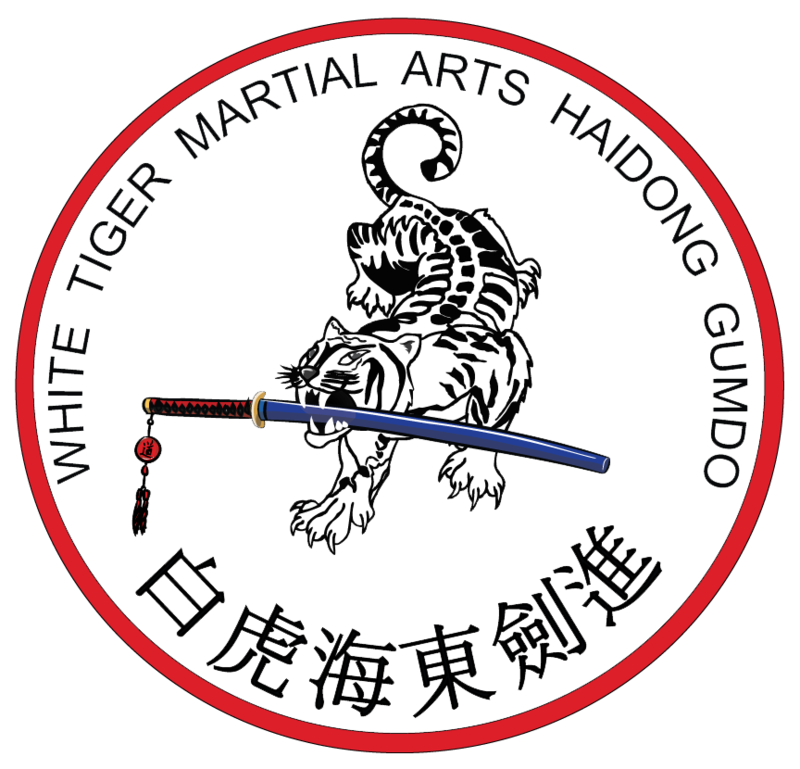 When I was a young martial artist, I saw what my school and organization did and thought that it was the whole martial arts world. The testings and tournaments had to include everything that the martial arts world was. Some ten years later and several questions that came back with incomplete (in my opinion) answers, I started researching more. Looking outside of my organization to learn more about the whole martial arts community. It was an eye-opener! Some of the questions took another ten years to get real answers. This lead to me wondering if the material that I was taught was real and correct. Well, yes, of course it was! The continued research showed all kinds of other material from a variety of martial arts. This created some very fun “debates” about (Seidokan) Aikido vs. (DanZan Ryu) Jujutsu between myself and a couple buddies. The important part that came from this was the discovery that “Different isn’t good or bad. It is just different.” (words from an Aikido teacher I had). Now, this understanding lead to more research. Specifically, in my case, looking for the traditions and heritage that came from the Song Moo Kwan Taekwondo that I had learned. Since it had taken the better part of 20 years to figure out anything in the first place, I still had a lot to find out. At this point, I really wanted to know the ideas behind how the Kwan developed. I found it fascinating that our Kwan founder held important positions within the Korean Taekwondo Association and was highly respected for his leadership & martial arts skill. When I asked about the development of the Kwan, I got a lot of great history but nothing about the “did this because” stuff. Locally, it was really cool that I learned a set of hyungs (patterns) that were created by a Song Moo Kwan master instructor but that made me want to learn about the “stories” (applications) that these hyungs told. No one that I asked seemed to have any ideas. 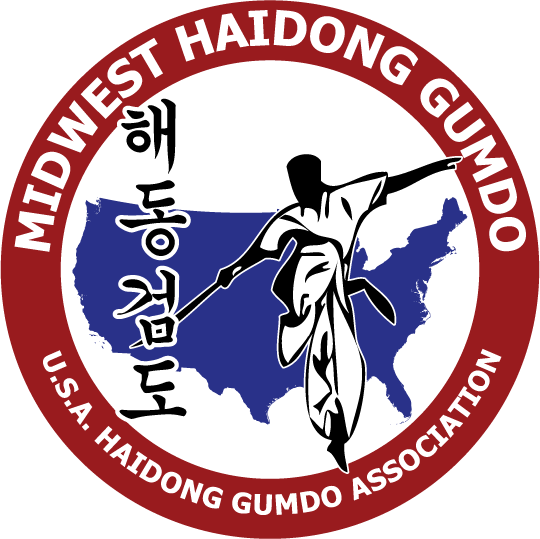 Once I ventured beyond my organization, I was dumbfounded that people had never heard of Song Moo Kwan’s Chung Bong hyung! how could they not have? Boy, did I have a lot to learn! Recently, after 30+ years of training and 25 years of working private security, more of the information about what I’m truly trying to accomplish has come to light. Training with several martial artists who also believe that “working together will teach us more” has lead to insights into the bunhae (applications) of the Chung Bong hyung. This is greatly important for it is what leads to students being able to do real personal protection techniques when they need to. 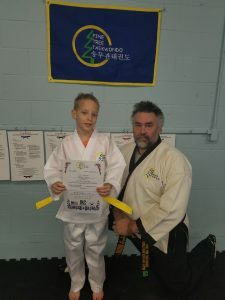 I have moved quite a bit away from the sport karate style that I started with but I greatly appreciate everything that I learned from those teachers and peers. The divergence has come from wanting more personal insight and less of a “hobby” perspective. This IS and SHOULD be life! I do hope that I can find someone to ask more questions of, though. This gets more challenging each year as many original masters have retired or passed. 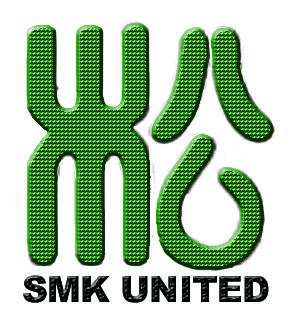 I hope that there is something published soon that tells the whole story about Song Moo Kwan. Heck, I’ll even offer to work on it and do whatever I can to help. No, don’t follow in the footsteps of the men of old but definitely learn from them and seek what they were seeking to make your life better! Published by Master Robert Frankovich, in White Tiger Ramblings. Tagged with Byung Jick Ro, Jun Sun "Jay" Hyon, Karate Center (MN), Pine Tree Taekwondo, Song Moo Kwan.